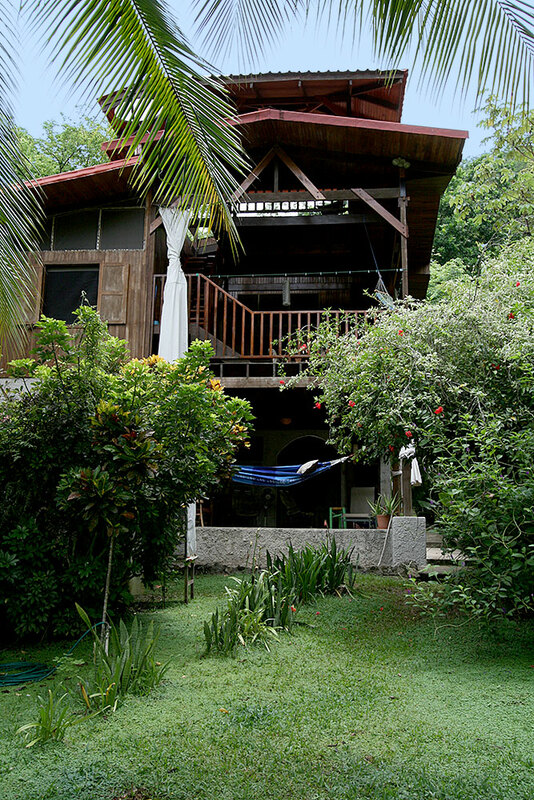 This lovely three-story hardwood house is surrounded by tropical beauty, in the midst of a what could be called a nature park. Monkeys, coatimundis, agoutis and anteaters often scamper through the 2 acre grounds, while toucans, parrots and eagles glide by overhead. Amazing butterflies feed on the exotic flora. All this, yet only 300m from the beach! 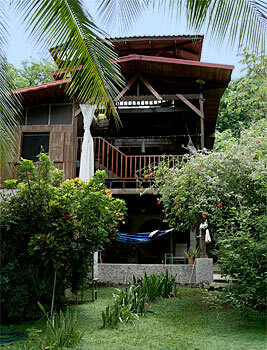 Casa Montezuma includes free wireless broadband internet and SkyTV satellite television with HBO, as well as weekly cleaning service and two bicycles.